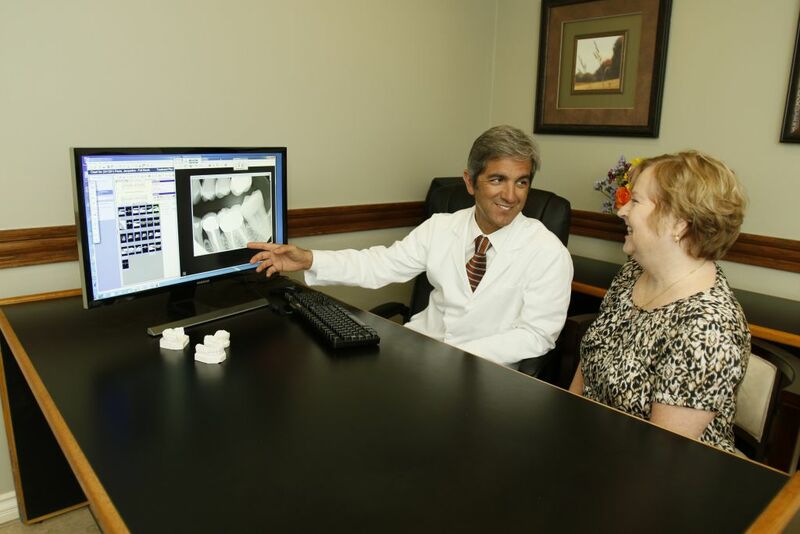 Dr. Jahangiri will do everything he can to help you preserve your teeth. However, if a tooth is too broken-down, it must be extracted. Wisdom teeth may also need to be removed to avoid overcrowding or causing damage to the jaw or surrounding teeth. Dr. Jahangiri will gently extract teeth and keep you comfortable during the procedure. Dr. Jahangiri performs gentle, minimally invasive tooth extractions. He explains the procedure beforehand so that you know what to expect. Dr. Jahangiri is known for his excellent, reassuring chairside manner, and he will keep you comfortable during the procedure. Dr. Jahangiri’s approach to tooth extraction is to preserve as much of the ridge (the bone surrounding the extracted tooth) as possible. This helps ensure that you are properly set up to replace the tooth in the future. 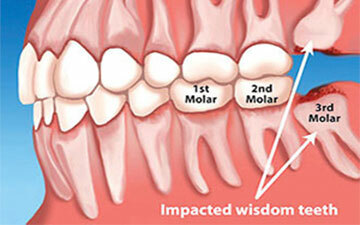 Wisdom teeth are the third set of molars that come in during a person’s late teen or early twenties. They sometimes come in incorrectly, pushing up against other teeth (which is known as impaction), or they can have other problems that may necessitate their removal. Dr. Jahangiri uses the state-of-the-art Cone Beam 3D CT scanner to get a 360-degree view of your teeth and the surrounding nerves and tissue. In this way, he can carefully plan your wisdom tooth extraction so that it is as gentle, precise and minimally invasive as possible. For patients who experience anxiety during dental treatment, Dr. Jahangiri can provide IV conscious sedation. With this type of sedation, you are brought into a deeply relaxed, sleep-like state while still remaining conscious and able to respond. With IV conscious sedation, Dr. Jahangiri can provide even very fearful patients with the needed care.